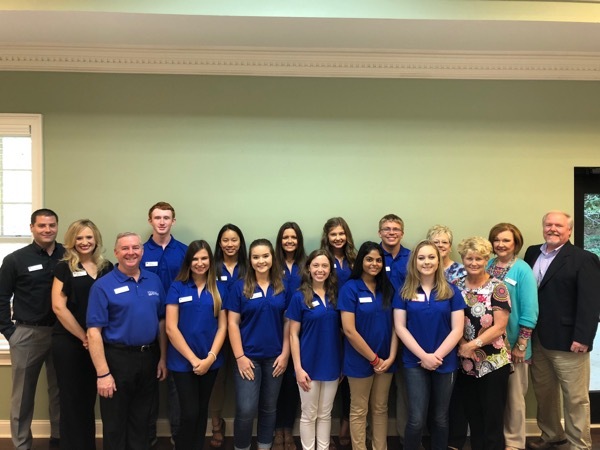 On September 13, the Gilmer Chamber held their September Network Luncheon sponsored by United Community Bank. Since 1950, United Community Bank has proudly served local communities throughout the Southeast with full banking and financial services. With more than 150 locations located throughout Georgia, Tennessee and the Carolinas, our experienced teams have deep community roots. We are committed to providing our friends and neighbors in Ellijay with the local expertise for all your financial needs. From checking and savings accounts to business and personal lending, United Community Bank is large enough to offer the variety of products and services you need with the personalized attention and local decision making support you expect from a hometown bank. Recently, United Community Bank was honored by Forbes Magazine as one of America’s Best Banks for the fourth consecutive year. We continue to be known as ‘The Bank That SERVICE Built®’ and we take great pride in being recognized for both our financial strength and service to our customers. To learn more about United and experience our award-winning customer service, visit ucbi.com or call one of our local bankers today. United Community Bank along with their junior board helped serve up a delicious lunch from Mr. P’s Takeout/Main Street Catering. Following our sponsor, the our guest speaker was Dr. Shanna Downs, Superintendent for Gilmer County Schools presented an update on our school system. The new chamber board was also presented to the membership. The Gilmer Chamber board of directors and ambassadors also took a moment to thank Paige Green, President/CEO for 10 years of service to the chamber and this community. There is no luncheon in October, we look forward to seeing everyone on November 8.